For ‘Almost Home’, that “something new” comes in the form of a renewed focus on songwriting, specifically narrative and melody. The emphasis is immediately apparent in the album’s title track, which is rhythmically crisp and precise in its vocal harmonies, with an engaging vocal melody set to Lowe’s easy-on-the-ears singing voice. ‘Bicycles’ is another breezy, upbeat track, laced with sweet vocal harmonies and a catchy chorus melody about “angels riding bicycles”. The similarly bright, tropical sounding ‘Hand that Feeds You’ reminisces about days by the sea and will undoubtedly evoke memories of sun and salty air for anyone who’s ever spent time at the beach. The Cobblers balance these lighter moments with introspective songs like ‘Concord’, whose plucked banjo and muted percussion underscore markedly moodier lyrics. Keston Cobblers’ Club lean on their solid folk foundation throughout the album, notably in the narrative of ‘Martha & Giles’. According to Lowe’s track-by-track review at The Line of Best Fit, the song was inspired by historical accounts of the Salem Witch Trials of 1692, when Giles Corey heroically, if somewhat belatedly, came to the defense of his wife, Martha, who had been accused of witchcraft. The song’s sparse instrumental arrangement highlights a poignant vocal duet between Lowe and his sister Julia, while the brass solo in the bridge adds a palpable air of sadness and regret. Julia Lowe’s vocals are featured early in the tracklisting on the uplifting ‘Demons’, and later in the more experimental track ‘Winning’. The former is an example of the folky quality I had expected from the Cobblers, while the latter is more divergent in its thematic tone and its musicality. ‘Winning’ has a distinct pop quality in its pervasive singsong melody, but the instrumentation is surprisingly diverse and colorful, and its chorus takes a perverse pleasure in taunting, “I’m winning, I’m winning”. Keston Cobblers’ Club have taken a fair few risks here, branching out to an electronic-based sound with ‘On Your Own’ and taking a more abstract approach to ‘An Island’. Though not entirely representative of the album as a whole, the tripping tempo and catchy vocal melody of ‘On Your Own’ make a bold statement and might even be an interesting single release. By contrast, ‘An Island’ is definitely an album track, best appreciated by discerning listeners who will enjoy the contrast between the dramatic intro and the harmonic subtleties in its final repeated line “fly away tonight”. Album centerpiece ‘Forest Hill’ centers around the idea of home, as Lowe ruminates about his roots: “Forest Hill was just a wood until you came into my world / I’m gonna pull up these weeds and plant a brand new type of seed.” Its expansive musical arrangement grows to a broadly sweeping finish in a brilliant sonic illustration of Lowe’s lyrical content, and his vocals have a strong emotional impact in the repeated line “we may be poor, but we’re worth a whole lot more”. Closing track ‘All I Need’ is similarly graceful and even more consciously expansive in its dynamic quality. Starting with a simple piano melody and executing a slow textural layering of instruments behind Julia Lowe’s lilting vocals, the song maintains a potent feeling of anticipation and energy throughout, much like the album itself. 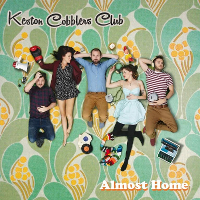 ‘Almost Home’ is delicately balanced between Keston Cobblers’ Club’s familiar sound and their ever-present willingness to experiment within the folk-pop genre. Their enthusiasm for vibrant soundscapes and simple, emotionally evocative stories is very much in evidence here, and their evolution as a band is clearly an ongoing process. Above all, ‘Almost Home’ is a genuinely pleasant listen, perfect for the quickly-approaching summer months. Keston Cobblers’ Club’s third LP ‘Almost Home’ is available now. You can take a look back at our past coverage of the band through here. The band have just wrapped up a list of live dates in England, but the action surrounding the album release doesn’t end there. 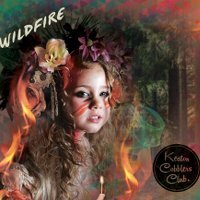 Check out this intriguing tweet and follow Keston Cobblers’ Club’s social media accounts to stay up-to-date on all the latest goings-on.